Narimanov District Court, chaired by Judge Turgay Huseynov, held a hearing on the case against Mammad Ibrahim, the advisor to the Chairman of the opposition Azerbaijan Popular Front Party (APFP), on hooliganism charges. Mahammad Gurbanov, who has been recognized as a victim, failed to attend the hearing, although he was supposed to testify. 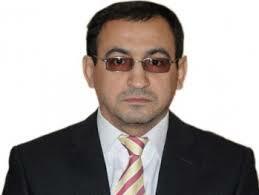 Mammad Ibrahim’s lawyer Yalchin Imanov filed motions during the course of the hearing. The first motion sought a forensic psychiatric examination of the victim Oruj Valiyev. “At the January 11 hearing, the victim Oruj Valiyev said that he has a memory disorder, and therefore has difficulty in perceiving and remembering events, and expressing his opinions. He said this is the result of a car accident he had had a few months ago. Therefore, Oruj Valiyev should be examined by forensic experts who can assess whether he is able comprehend events and if not, since when. Answers to these questions are of importance to the case,” said Yalchin Imanov in justification of the motion. The public prosecutor argued against the motion, saying that a memory disorder does not constitute sufficient grounds for a psychiatric examination. Yalchin Imanov’s next motion requested the dismissal of Mahammad Gurbanov’s victim status. The lawyer quoted the expert opinion of October 5, 2015 as evidence that Mahammad Gurbanov had not suffered any injury. “In his statement provided to the investigators, Mahammad Gurbanov, who has been recognized as a victim, has stated that Mammad Ibrahim had not inflicted any injury upon him and that he had not suffered any damage. However, the investigators did not annul his victim status. It is now the fourth court hearing that Mahammad Gurbanov has failed to attend. If he really suffered any damage, he should come and demand relief. The fact that he fails to appear reinforces the impression that he has not suffered any damage,” the lawyer added. The prosecutor replied that according to the indictment bill, Mammad Ibrahim subjected Mahammad Gurbanov to physical pain. “Mahammad Gurbanov should come to court and testify. His status cannot be revoked without first listening to him. The motion is groundless and must be rejected,” said the prosecutor said. Yalchin Imanov then filed the third motion, aimed at requiring Mahammad Gurbanov to appear before the court. The judge said that relevant legal measures will be undertaken to ensure Gurbanov’s appearance before court. The hearing will continue on January 29 at 11.00am.